The TOEFL measures your English language skills (through written and listening comprehension exercises), and is used by universities to assess your ability to communicate. Semi-finalists in all fields of study must complete this exam. The GRE measurs verbal, mathematical and critical thinking skills. 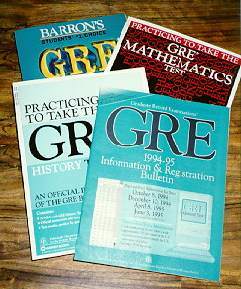 Many universities require the GRE for graduate study. Semi finalists in all fields except Business and Law must complete this exam. The GRE revised General Test, introducedon August 1, 2011, features new types of questions and differs from previous versions of the GRE.